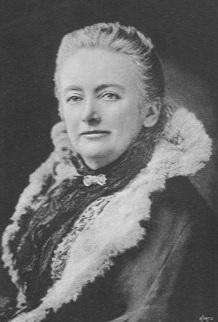 Amelia B. Edwards was born in London, England, in 1831. She was home-schooled by her mother and began writing at a very young age. Her first poem was published when she was just seven-years-old and her first story was published five years later. She went on to write for magazines and newspaper and, in 1855, she published her first novel. Apart from being an accomplished writer, Amelia B. Edwards was also an avid traveller and Egyptologist. She died of influenza on 15 April 1892. The scientist does his best for the young man and then directs him to a spot where he should be able to meet up with the coach carrying the night mail. Unfortunately, a phantom coach haunts the same stretch of road and the barrister boards the wrong vehicle. The Phantom Coach is one of Amelia B. Edward’s most successful stories and, to this day, it’s often included in ghost story anthologies. The circumstances I am about to relate to you have truth to recommend them. They happened to myself, and my recollection of them is as vivid as if they had taken place only yesterday. Twenty years, however, have gone by since that night. During those twenty years I have told the story to but one other person. I tell it now with a reluctance which I find it difficult to overcome. All I entreat, meanwhile, is that you will abstain from forcing your own conclusions upon me. I want nothing explained away. I desire no arguments. My mind on this subject is quite made up, and, having the testimony of my own senses to rely upon, I prefer to abide by it. Well! It was just twenty years ago, and within a day or two of the end of the grouse season. I had been out all day with my gun, and had had no sport to speak of. The wind was due east; the month, December; the place, a bleak wide moor in the far north of England. And I had lost my way. It was not a pleasant place in which to lose one’s way, with the first feathery flakes of a coming snowstorm just fluttering down upon the heather, and the leaden evening closing in all around. I shaded my eyes with my hand, and staled anxiously into the gathering darkness, where the purple moorland melted into a range of low hills, some ten or twelve miles distant. Not the faintest smoke-wreath, not the tiniest cultivated patch, or fence, or sheep-track, met my eyes in any direction. There was nothing for it but to walk on, and take my chance of finding what shelter I could, by the way. So I shouldered my gun again, and pushed wearily forward; for I had been on foot since an hour after daybreak, and had eaten nothing since breakfast. Meanwhile, the snow began to come down with ominous steadiness, and the wind fell. After this, the cold became more intense, and the night came rapidly up. As for me, my prospects darkened with the darkening sky, and my heart grew heavy as I thought how my young wife was already watching for me through the window of our little inn parlour, and thought of all the suffering in store for her throughout this weary night. We had been married four months, and, having spent our autumn in the Highlands, were now lodging in a remote little village situated just on the verge of the great English moorlands. We were very much in love, and, of course, very happy. This morning, when we parted, she had implored me to return before dusk, and I had promised her that I would. What would I not have given to have kept my word! Even now, weary as I was, I felt that with a supper, an hour’s rest, and a guide, I might still get back to her before midnight, if only guide and shelter could be found. And all this time, the snow fell and the night thickened. I stopped and shouted every now and then, but my shouts seemed only to make the silence deeper. Then a vague sense of uneasiness came upon me, and I began to remember stories of travellers who had walked on and on in the falling snow until, wearied out, they were fain to lie down and sleep their lives away. Would it be possible, I asked myself, to keep on thus through all the long dark night? Would there not come a time when my limbs must fail, and my resolution give way? When I, too, must sleep the sleep of death. Death! I shuddered. How hard to die just now, when life lay all so bright before me! How hard for my darling, whose whole loving heart but that thought was not to be borne! To banish it, I shouted again, louder and longer, and then listened eagerly. Was my shout answered, or did I only fancy that I heard a far-off cry? I halloed again, and again the echo followed. Then a wavering speck of light came suddenly out of the dark, shifting, disappearing, growing momentarily nearer and brighter. Running towards it at full speed, I found myself, to my great joy, face to face with an old man and a lantern. “Thank God!” was the exclamation that burst involuntarily from my lips. Blinking and frowning, he lifted his lantern and peered into my face. “What for?” growled he, sulkily. “Out yonder,” said he, with a vague jerk of the lantern. The old man shook his head, and rubbed his nose reflectively with the handle of the lantern. “That’s nowt to you,” was the unceremonious reply. “Eh, you can try him!” muttered my reluctant guide; and, still shaking his head, he hobbled, gnome-like, away through the falling snow. A large mass loomed up presently out of the darkness, and a huge dog rushed out, barking furiously. “Is this the house?” I asked. “Ay, it’s the house. Down, Bey!” And he fumbled in his pocket for the key. I drew up close behind him, prepared to lose no chance of entrance, and saw in the little circle of light shed by the lantern that the door was heavily studded with iron nails, like the door of a prison. In another minute he had turned the key and I had pushed past him into the house. Once inside, I looked round with curiosity, and found myself in a great raftered hall, which served, apparently, a variety of uses. One end was piled to the roof with corn, like a barn. The other was stored with flour-sacks, agricultural implements, casks, and all kinds of miscellaneous lumber; while from the beams overhead hung rows of hams, flitches, and bunches of dried herbs for winter use. In the centre of the floor stood some huge object gauntly dressed in a dingy wrapping-cloth, and reaching half way to the rafters. Lifting a corner of this cloth, I saw, to my surprise, a telescope of very considerable size, mounted on a rude movable platform, with four small wheels. The tube was made of painted wood, bound round with bands of metal rudely fashioned; the speculum, so far as I could estimate its size in the dim light, measured at least fifteen inches in diameter. While I was yet examining the instrument, and asking myself whether it was not the work of some self-taught optician, a bell rang sharply. He pointed to a low black door at the opposite side of the hall. I crossed over, rapped somewhat loudly, and went in, without waiting for an invitation. A huge, white-haired old man rose from a table covered with books and papers, and confronted me sternly. He bent his bushy brows into a portentous frown. He strode to the window, pulled aside a heavy black curtain, and looked out. With this he waved me to a seat, resumed his own, and became at once absorbed in the studies from which I had disturbed him. I placed my gun in a corner, drew a chair to the hearth, and examined my quarters at leisure. Smaller and less incongruous in its arrangements than the hall, this room contained, nevertheless, much to awaken my curiosity. The floor was carpetless. The whitewashed walls were in parts scrawled over with strange diagrams, and in others covered with shelves crowded with philosophical instruments, the uses of many of which were unknown to me. On one side of the fireplace, stood a bookcase filled with dingy folios; on the other, a small organ, fantastically decorated with painted carvings of mediaval saints and devils. Through the half-opened door of a cupboard at the further end of the room, I saw a long array of geological specimens, surgical preparations, crucibles, retorts, and jars of chemicals; while on the mantelshelf beside me, amid a number of small objects, stood a model of the solar system, a small galvanic battery, and a microscope. Every chair had its burden. Every corner was heaped high with books. The very floor was littered over with maps, casts, papers, tracings, and learned lumber of all conceivable kinds. I stared about me with an amazement increased by every fresh object upon which my eyes chanced to rest. So strange a room I had never seen; yet seemed it stranger still, to find such a room in a lone farmhouse amid those wild and solitary moors! Over and over again, I looked from my host to his surroundings, and from his surroundings back to my host, asking myself who and what he could be? His head was singularly fine; but it was more the head of a poet than of a philosopher. Broad in the temples, prominent over the eyes, and clothed with a rough profusion of perfectly white hair, it had all the ideality and much of the ruggedness that characterises the head of Louis von Beethoven. There were the same deep lines about the mouth, and the same stern furrows in the brow. There was the same concentration of expression. While I was yet observing him, the door opened, and Jacob brought in the supper. His master then closed his book, rose, and with more courtesy of manner than he had yet shown, invited me to the table. A dish of ham and eggs, a loaf of brown bread, and a bottle of admirable sherry, were placed before me. I had already fallen upon the viands, and now protested, with the enthusiasm of a starving sportsman, that I had never eaten anything so delicious. He bent his head in acknowledgment; leaned forward, with his elbows resting on his knees and his chin supported in the palms of his hands; stared fixedly into the fire; and proceeded to question me. His inquiries related chiefly to scientific matters, with the later progress of which, as applied to the practical purposes of life, he was almost wholly unacquainted. No student of science myself, I replied as well as my slight information permitted; but the task was far from easy, and I was much relieved when, passing from interrogation to discussion, he began pouring forth his own conclusions upon the facts which I had been attempting to place before him. He talked, and I listened spellbound. He talked till I believe he almost forgot my presence, and only thought aloud. I had never heard anything like it then; I have never heard anything like it since. Familiar with all systems of all philosophies, subtle in analysis, bold in generalisation, he poured forth his thoughts in an uninterrupted stream, and, still leaning forward in the same moody attitude with his eyes fixed upon the fire, wandered from topic to topic, from speculation to speculation, like an inspired dreamer. From practical science to mental philosophy; from electricity in the wire to electricity in the nerve; from Watts to Mesmer, from Mesmer to Reichenbach, from Reichenbach to Swedenborg, Spinoza, Condillac, Descartes, Berkeley, Aristotle, Plato, and the Magi and mystics of the East, were transitions which, however bewildering in their variety and scope, seemed easy and harmonious upon his lips as sequences in music. By-and-by–I forget now by what link of conjecture or illustration–he passed on to that field which lies beyond the boundary line of even conjectural philosophy, and reaches no man knows whither. He spoke of the soul and its aspirations; of the spirit and its powers; of second sight; of prophecy; of those phenomena which, under the names of ghosts, spectres, and supernatural appearances, have been denied by the sceptics and attested by the credulous, of all ages. “It is a very sad one,” I murmured, scarcely knowing what to answer. He rose, as if desirous of ending the conversation, and went over to the window. “It has ceased snowing,” he observed, as he dropped the curtain, and came back to the fireside. I would have declined the spirit, but he pressed it on me, and I drank it. It went down my throat like liquid flame, and almost took my breath away. I thanked him for his hospitality, and would have shaken hands, but that he had turned away before I could finish my sentence. In another minute I had traversed the hall, Jacob had locked the outer door behind me, and we were out on the wide white moor. I pulled out my purse, and he became more communicative. “Gude night, sir, and thankee.” Jacob pocketed his half-crown, made a faint pretence of touching his hat, and trudged back by the way he had come. I watched the light of his lantern till it quite disappeared, and then turned to pursue my way alone. This was no longer matter of the slightest difficulty, for, despite the dead darkness overhead, the line of stone fence showed distinctly enough against the pale gleam of the snow. How silent it seemed now, with only my footsteps to listen to; how silent and how solitary! A strange disagreeable sense of loneliness stole over me. I walked faster. I hummed a fragment of a tune. I cast up enormous sums in my head, and accumulated them at compound interest. I did my best, in short, to forget the startling speculations to which I had but just been listening, and, to some extent, I succeeded. There could be no doubt, however, of the fact, for the lamps grew larger and brighter every moment, and I even fancied I could already see the dark outline of the carriage between them. It was coming up very fast, and quite noiselessly, the snow being nearly a foot deep under the wheels. And now the body of the vehicle became distinctly visible behind the lamps. It looked strangely lofty. A sudden suspicion flashed upon me. Was it possible that I had passed the cross-roads in the dark without observing the sign-post, and could this be the very coach which I had come to meet? No need to ask myself that question a second time, for here it came round the bend of the road, guard and driver, one outside passenger, and four steaming greys, all wrapped in a soft haze of light, through which the lamps blazed out, like a pair of fiery meteors. I jumped forward, waved my hat, and shouted. The mail came down at full speed, and passed me. For a moment I feared that I had not been seen or heard, but it was only for a moment. The coachman pulled up; the guard, muffled to the eyes in capes and comforters, and apparently sound asleep in the rumble, neither answered my hail nor made the slightest effort to dismount; the outside passenger did not even turn his head. I opened the door for myself, and looked in. There were but three travellers inside, so I stepped in, shut the door, slipped into the vacant corner, and congratulated myself on my good fortune. The atmosphere of the coach seemed, if possible, colder than that of the outer air, and was pervaded by a singularly damp and disagreeable smell. I looked round at my fellow-passengers. They were all three, men, and all silent. They did not seem to be asleep, but each leaned back in his corner of the vehicle, as if absorbed in his own reflections. I attempted to open a conversation. “How intensely cold it is to-night,” I said, addressing my opposite neighbour. He lifted his head, looked at me, but made no reply. Although the corner in which he sat was so dim that I could distinguish none of his features very clearly, I saw that his eyes were still turned full upon me. And yet he answered never a word. At any other time I should have felt, and perhaps expressed, some annoyance, but at the moment I felt too ill to do either. The icy coldness of the night air had struck a chill to my very marrow, and the strange smell inside the coach was affecting me with an intolerable nausea. I shivered from head to foot, and, turning to my left-hand neighbour, asked if he had any objection to an open window? He neither spoke nor stirred. I repeated the question somewhat more loudly, but with the same result. Then I lost patience, and let the sash down. As I did so, the leather strap broke in my hand, and I observed that the glass was covered with a thick coat of mildew, the accumulation, apparently, of years. My attention being thus drawn to the condition of the coach, I examined it more narrowly, and saw by the uncertain light of the outer lamps that it was in the last stage of dilapidation. Every part of it was not only out of repair, but in a condition of decay. The sashes splintered at a touch. The leather fittings were crusted over with mould, and literally rotting from the woodwork. The floor was almost breaking away beneath my feet. The whole machine, in short, was foul with damp, and had evidently been dragged from some outhouse in which it had been mouldering away for years, to do another day or two of duty on the road. I turned to the third passenger, whom I had not yet addressed, and hazarded one more remark. He moved his head slowly, and looked me in the face, without speaking a word. I shall never forget that look while I live. I turned cold at heart under it. I turn cold at heart even now when I recall it. His eyes glowed with a fiery unnatural lustre. His face was livid as the face of a corpse. His bloodless lips were drawn back as if in the agony of death, and showed the gleaming teeth between. The words that I was about to utter died upon my lips, and a strange horror–a dreadful horror–came upon me. My sight had by this time become used to the gloom of the coach, and I could see with tolerable distinctness. I turned to my opposite neighbour. He, too, was looking at me, with the same startling pallor in his face, and the same stony glitter in his eyes. I passed my hand across my brow. I turned to the passenger on the seat beside my own, and saw–oh Heaven! how shall I describe what I saw? I saw that he was no living man–that none of them were living men, like myself! A pale phosphorescent light–the light of putrefaction–played upon their awful faces; upon their hair, dank with the dews of the grave; upon their clothes, earth-stained and dropping to pieces; upon their hands, which were as the hands of corpses long buried. Only their eyes, their terrible eyes, were living; and those eyes were all turned menacingly upon me! A shriek of terror, a wild unintelligible cry for help and mercy; burst from my lips as I flung myself against the door, and strove in vain to open it. In that single instant, brief and vivid as a landscape beheld in the flash of summer lightning, I saw the moon shining down through a rift of stormy cloud–the ghastly sign-post rearing its warning finger by the wayside–the broken parapet–the plunging horses–the black gulf below. Then, the coach reeled like a ship at sea. Then, came a mighty crash–a sense of crushing pain–and then, darkness. It seemed as if years had gone by when I awoke one morning from a deep sleep, and found my wife watching by my bedside I will pass over the scene that ensued, and give you, in half a dozen words, the tale she told me with tears of thanksgiving. I had fallen over a precipice, close against the junction of the old coach-road and the new, and had only been saved from certain death by lighting upon a deep snowdrift that had accumulated at the foot of the rock beneath. In this snowdrift I was discovered at daybreak, by a couple of shepherds, who carried me to the nearest shelter, and brought a surgeon to my aid. The surgeon found me in a state of raving delirium, with a broken arm and a compound fracture of the skull. The letters in my pocket-book showed my name and address; my wife was summoned to nurse me; and, thanks to youth and a fine constitution, I came out of danger at last. The place of my fall, I need scarcely say, was precisely that at which a frightful accident had happened to the north mail nine years before. I never told my wife the fearful events which I have just related to you. I told the surgeon who attended me; but he treated the whole adventure as a mere dream born of the fever in my brain. We discussed the question over and over again, until we found that we could discuss it with temper no longer, and then we dropped it. Others may form what conclusions they please–I know that twenty years ago I was the fourth inside passenger in that Phantom Coach.